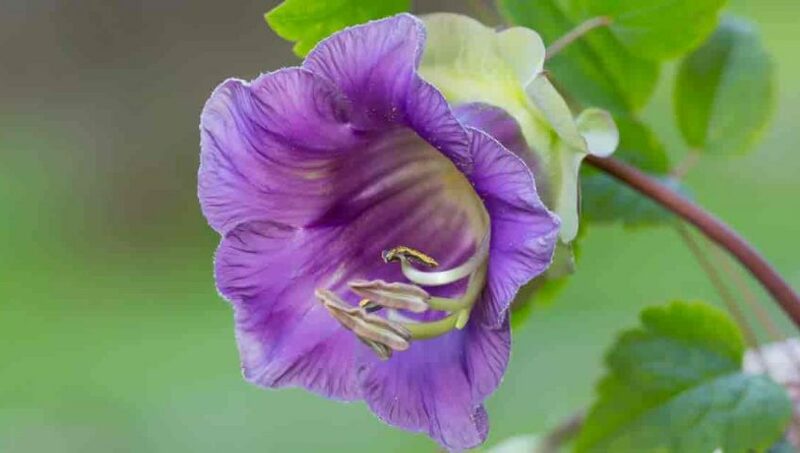 The Cobaea scandens [ko-BEE-uh SKAN-dens] is a fast-growing vine with beautiful flowers. While technically a perennial, many choose to grow the Cobaea as an annual flowering plant vine. It comes from South America, and Mexico, where a Jesuit priest named Father Cobo discovered the plant. The climbing plants grow in gardens throughout the US Southwest, but also in enclosed areas, such as a greenhouse or conservatory. To learn more check out the following plant growing tips for the cup and saucer vine Cobaea scandens. Cobaea scandens is one of the fast-growing climbing vines with many branches and leaves. The stems and foliage are green and can be trained to grow along trellises and other structures. If left to grow without grooming, the plant may eventually span 24′ feet from a single set of roots. The flowers are the reason for the name cup-and-saucer. The bell-shaped flowers bloom in the late summer and feature green foliage around the base, resulting in a look that resembles a cup in a saucer. During the first year of growth, the plant should bloom later in the summer. Older plants tend to bloom a little earlier. The flowers are violet with yellow stamens that produce no scent. While most plants have the violet-colored flowers, the colors are sometimes closer to a rose-purple. If possible, avoid placing the plant in an area where it receives shade throughout the day. The plant prefers lots of full sun. The cup-and-saucer vine is recommended for growing outdoors in USDA hardiness zones 9 to 10. It doesn’t tolerate frost and should be kept indoors during the winter in cooler regions. When grown indoors, normal room temperature is fine for the plant during the summer. In the winter, it should not be left outdoors in temperatures below 45 degrees Fahrenheit. Like most plants, the Cobaea scandens requires more water in the summer and less in the winter. Give the plant plenty of water throughout the summer months and decrease watering in the colder months. From March to September, plants need to water once per week. Water soluble liquid fertilizer is recommended during this period. 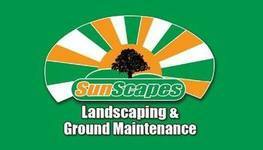 NOTE: To avoid excessive growth, skip the fertilizer and water the plant each week. Young plants grow better in sandy soil, instead of using rich soil with fast drainage. The sandy soil helps the roots retain more water. As the plant grows, and the roots use more water, shift to a regular potting soil or compost mixed with garden soil. Transplant older plants into large pots at the start of spring after the danger of frost passes. This allows the plants and root system to get off to a go start for the growing season. Groom the plant to help produce larger blooms. With the younger plant, cut a few of the side shoots in the spring. For older plants, trim the side shoots in February. Without trimming, the foliage will hide some of the flowers and inhibit growth. Trimming helps give the flowers more sunlight and room to blossom. Cuttings can be taken in the early spring when trimming back the foliage. Place the cuttings in a pot with sandy soil and cover with plastic. After the cuttings take root, keep them in a relatively cool room. The first flowers from the cuttings should appear in June. During the following spring season, transplant the new plants into larger containers if needed. The cobaea scandens is a healthy, hardy plant, but there are a few issues to pay attention to. Spider mites and aphids may attack the plant, especially in dry conditions. Red spider mites are hard to remove from this plant. If the spider mites are present, trim the plant back in the spring to help revive the plant. Using an insecticide (Neem oil) may stop the infestation and is typically effective against aphids. When grown in frost-free zones, allow the vine to climb outdoors against a trellis, fence, facing wall or other structure. In cooler regions, the plant should be grown indoors or in enclosed areas, such as a greenhouse, conservatory, or an enclosed porch. Remember cup and saucer plants grow quickly and require a lot of room.